Life is in two parts: who you were before you met her, and who you are after. When three friends, and documentary makers, find Laura living in an isolated part of woods on her own, their next documentary topic shows itself - Laura isn't like me or you; Laura has a unique and amazing talent, an ability she shares with the lyrebird: Laura can mimic sounds, any sound, to a tee. Along with this ability of hers, Laura also has a fascinating story and one Bo, Solomon and Rachel are keen to share with the world. 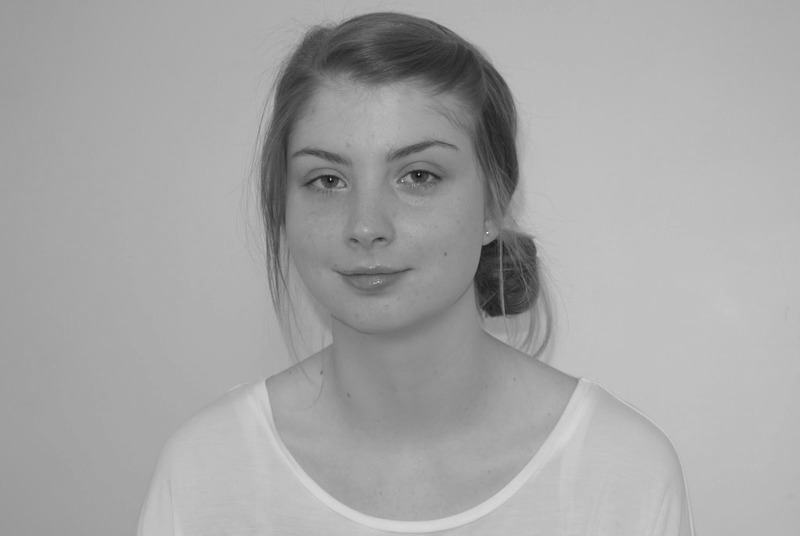 Something happened in that woodlands when Laura was found however - she met Solomon. Laura and Solomon connected on a deep level... A bond and chemistry that is spine tingling to watch unfold, however Solomon already has a girlfriend - head documentary maker, Bo. Whilst I loved the overall plot of Lyrebird - the story of Laura as well as the blossoming relationship between her and Solomon - I wasn't so keen on the sub plot. As a way of garnering attention, and finance, for the documentary, Bo thinks it a good idea for Laura to enter a national reality talent show. I really wasn't keen on this aspect of the story personally, however I can see how it works together in concluding the overall plot. The plot was something that excited me - I was keen to know more about Laura, her backstory etc, however ultimately I felt like the talent show element took away from that a little. I would say that I did enjoy the story, especially the way in which Ahern weaved Laura and lyrebirds together, however I didn't entirely live up to my expectations. I can't fault Cecelia Ahern when it comes to characters. Once again she has created a cast of colourful characters, with flaws and imperfections, relatable to any of us. Solomon, a sound man on documentaries, plays a big part in the story and I really liked how fleshed out he was. Not only him, but his entire family too. There are scenes where Solomon returns home for a family gathering and the dynamics between the family members was really well written and felt true to life. Being the title character Laura (aka Lyrebird) obviously has to have a great depth to her and that is definitely the case. The story is very much a rollercoaster for her, and the way in which emotions were portrayed felt really raw and there was always that hint of vulnerability to Laura, which you'd imagine her to have given all that she is going through. I finished Lyrebird at such a rapid rate... The story is a page turner, but not as a thriller or mystery would be, but because you're absorbed into the lives of these people. Cecelia Ahern is one of my favourite storytellers - she has a way of writing these magical stories from the every day, and creating characters who stay with you a lifetime. Lyrebird is a character I'll not forget any time soon. I'm a huge Ahern fan, so naturally I'm dying to read this book :) Great review! And I totally agree with you about the way Ahern weaves magic into her otherwise ordinary stories; they really are exquisite. Exquisite is a great word to describe Ahern's stories! Great review! The characters in this book sound unique. I've yet to read a character quite like Laura (aka Lyrebird). I've been meaning to try this author. Even not having read her yet though, I can see why the reality show element bumped this one down a bit for you -- I don't think I would care for that particular element either. I'm not opposed to a reality TV setting, in fact my next review also has a similar format, I just think it took away from the beauty of this particular story. I recommend trying Ahern's work though - she is quite a magical storyteller. Haha! The trousers are my pjs, most of my pictures feature my pjs (lol), and Alexander is exactly the same when I wear them! I remember reading the blurb for this somewhere and thinking it sounded interesting but somehow didn't put it together with a Cecelia Ahern book. It sounds lovely though I'm not sure about the reality show aspect either. However, it doesn't sound like it ruined the book for you. I'll have to look for this book and others by this author. 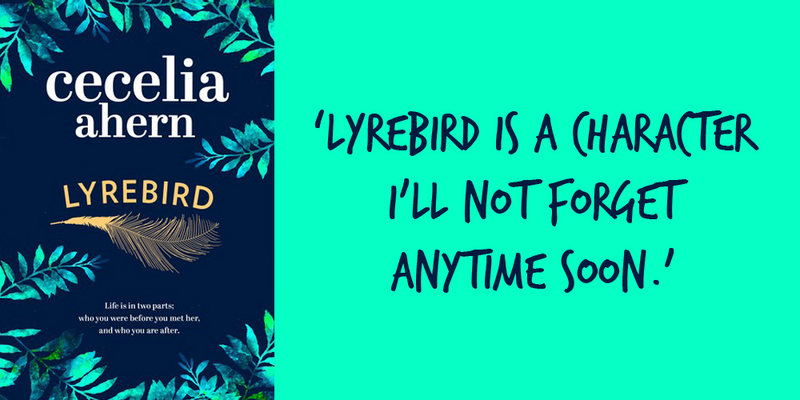 I definitely had high hopes for Lyrebird, given my thoughts on Cecelia Ahern as an author - I would say my thoughts on the story were dampened by the reality TV aspect, but definitely not ruined as you say. There was still plenty to enjoy within Lyrebird. I hope you enjoy Ahern's work, if and when you do delve in.